Scientists at the National Institute on Drug Abuse (NIDA) and their collaborators report that methadone may produce less euphoria than other opioids, suggesting it may hold less risk for abuse or misuse. In a study led by Sergi Ferré, MD, PhD, and Annabelle Belcher, PhD, published in the Journal of Clinical Investigation, researchers conducted experiments using cells in culture, as well as an animal model, to assess the effects of different opioids on the brain. They found that methadone was much less potent than morphine and fentanyl in activating receptors that drive feelings of euphoria. In the experiments, the scientists examined the response of opioid receptors in cells in the ventral tegmental area (VTA) of the brain. The VTA is a key area involved in the brain’s “reward circuit.” The researchers found that opioid receptors located in the VTA link with receptors for another neurotransmitter called galanin to form complexes; and that these complexes are less responsive to methadone than to the other opioids. The researchers also looked at patient data from the RLS Opioid Registry and from a clinical trial for opioid use disorder (opioid addiction). In both studies, significantly fewer patients said they experienced a “high” from taking methadone compared with the other opioids – confirming results of the lab experiments. “Our work provides very important support for the use of methadone in RLS. These results provide a substantial basis for arguments for its continued availability and use as an opioid treatment with little addictive potential,” says Dr. Ferré, who is a member of the RLS Foundation Scientific and Medical Advisory Board. “The results also open a new path to address the discovery of opioids with lower risk of addiction, which already include methadone. Our ongoing studies will identify the mechanism by which methadone does not activate the opioid-galanin receptor complexes, which light up the reward circuitry, to use this as the basis for future drug development. This is the Holy Grail in the search for effective opioids for the treatment of pain and RLS – we want to emulate that,” Dr. Ferré says. Opioid therapy is used to treat RLS when all other options have failed. At low total daily doses, opioids are effective for controlling RLS symptoms in most patients. Methadone and oxycontin are specifically used for RLS because they are longer-acting, so a single dose can control symptoms across a span of many hours. The NIDA findings present a new way for clinicians to distinguish among opioids, according to co-author John Winkelman, MD, PhD. “This study suggests that methadone may be distinctive in that it doesn’t activate the euphoric, or rewarding, centers in the brain, and therefore lessens the risk of misuse or abuse. From this perspective, methadone in low doses is not as worrisome as other opioids. However, it is still an opioid and needs to be used only in select patients and carefully in those individuals,” says Dr. Winkelman. 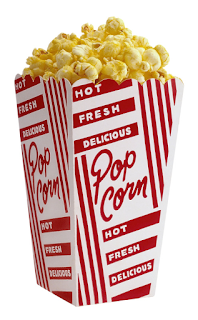 More on my "Popcorn Proposition"
One of the big dreams of the Foundation is to act as a catalyst in finding better treatments for the disease. Most of us hope for the magic pill, potion, or even surgery that will stop this horrible feeling that occurs daily for me, and I suspect almost daily for many of you. Way back in the early 90s, when I started talking with doctors about RLS, the sleep docs I was talking to put me on Sinemet. It did stop my restless legs but changed my personality so much, and in such negative ways, that I was terrified. And I didn’t know how to get off of it. Finally, and with the help of a brilliant psychiatrist and some people at Johns Hopkins, I was able to put Sinemet in my past. There followed a parade of other pills: Permax, Mirapex, Requip ... all were helpful – at first. All eventually generated the phenomenon known as augmentation: The drug worked beautifully for a while; then, after a period that might be as long as a couple of years, I started needing a higher and higher dose. The drug itself had started making my RLS worse instead of better. The silver bullet had turned to lead. So I’ve hoped, as have many of you, that we could find great nondrug therapies for RLS. I’ve dreamed that all of us in the RLS community could somehow collect, and even rank, our nondrug therapies for RLS: What practices make life manageable when drugs aren’t working that well? What can we do when we want to both treat RLS symptoms and limit our drug intake? I love going to the movies. Trouble is that even if it’s Mission Impossible, I get jumpy and have to stand in the back of the theater, or in the aisle, to get through the movie. However, if I go to my seat (an aisle seat helps) armed with a bag of popcorn, I can make it through the show. The secret is eating the popcorn s-l-o-w-l-y, one ... kernel ... at ... a ... time. Eating that way, I can get through a whole movie on one small bag of popcorn. Sometimes I go wild and get a medium bag. 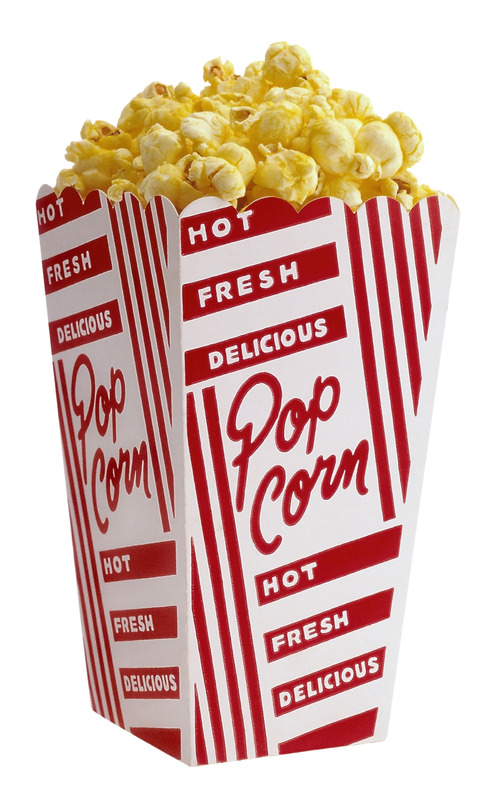 What characteristics does my popcorn proposition have in common with other nondrug treatments for RLS? In my mind there are two. First is that I’m doing something physical and mind engaging – in this case, constantly moving my hands. Second, is the knowledge that I can escape my seat if I want to, since I’m sitting in an aisle seat. Knowing that I can easily stand seems to reduce my need to stand. Another nondrug approach: My wife and I love the symphony, musical comedies, ballet, and – gulp – even the opera. Popcorn isn’t going to work for these occasions. But part of my popcorn approach will. These days we go to the symphony about once every other month. I seldom get jumpy there, and I am convinced that it’s because we are lucky enough to be in a box where I can escape I need to. All of this makes it sound like RLS is purely mental – not real. Something the brain cooks up. That’s nonsense, as any of us with RLS knows. However, psychological factors can alleviate the symptoms or make them worse. Take another example: I love to draw and paint. I can sit still for hours if I’m painting, though I cannot start a drawing or painting if I’m in the middle of an RLS attack. To me, the popcorn parallel is obvious. When I’m painting or drawing or eating popcorn, my hands are occupied, and so is the movement part of my brain. Whether I’m painting, or watching a thriller, my mind is occupied. I’m good at knitting and tying fishing flies. My grandparents taught me. And again, the same themes: Hands occupied. Brain engaged. RLS in check. One summer I tied 1,000 dry flies for sale at a Colorado dude ranch. You can question my brain on accepting that job, but all I could see was 1,000 times 25 cents. My dad, an ardent fisherman, loved that I could tie salable dry flies. He hated that I could knit. Other nondrug palliatives for RLS for me involve simply wearing myself out. One of my favorites is hopping on an exercise bike in front of a TV. I use this with great positive effect when I’m jumpy before bedtime and need to settle to get to sleep. I ride for about half an hour, watching both the TV and a small screen on the bike that shows me riding through hill and glen, and even a ski area in the Alps. When the road gets steep, the peddling gets tough. When the road dips, my gadget lets me coast. I know, I know. You’re not supposed to be looking at screens before bedtime. But the leg relief from my bike is so great compared to the restless legs symptoms in the evening, that sleep seems to come easily. Hot baths – the hotter the better – are a standby treatment that many of us have used for years. For some reason hot baths are helping me less now, at 81, than when I was younger. The bike is better for me, but a hot bath is still welcome therapy. A cold bath works also, though you have to be a little nuts to try it if a hot bath is available. I would not have believed this one until my family and I were rafting through the Grand Canyon. I was having great trouble getting to sleep; I was constrained in a tent and tight sleeping bag and feeling jumpy. So I took a plunge in a quiet, 55-degree pool near our camp site. Darned if I didn’t feel much better. Hot, cold ... it must have something to do with shocking one’s nervous system. Massage works well for me. The issue is that I can seldom schedule a massage when I need it most. Early afternoon? No problem scheduling. But 9 at night, when I really need a massage, I can seldom find a skilled masseuse available. Popcorn, painting, knitting, hot baths, cold baths, exercise bike, tying flies – it’s quite a long list of things one can do to mitigate the symptoms of RLS. But I do want to emphasize one crucial point: These activities only help mitigate; they are not the cure. They help, but I would be terrified to face the rest of my restless life without drugs like gabapentin, Horizant and methadone, or a patch that delivers tiny amounts of rotigotine. My strong belief is that each of us needs a catalog of drug and nondrug approaches for less night walking and better sleeping. Much as I like popcorn, no one bag is going to get me through that movie if I’ve forgotten to take the kind of opioid that works well for me. And no single approach is going to help me much if I don’t have access to my paints and, well ... yes, my bag of popcorn. Bob Waterman has dedicated many years of service to the RLS Foundation. He led the establishment of the RLS Foundation's Research Grant Program in 1977 and currently serves as chair emeritus on the Board of Directors. Waterman is a non-fiction author and expert on business management practices who worked professionally as a physics researcher and economics professor before a 21-year career at the management consulting firm McKinsey and Company. He has authored several books, including the best-seller In Search of Excellence, which he co-authored with Tom Peters. 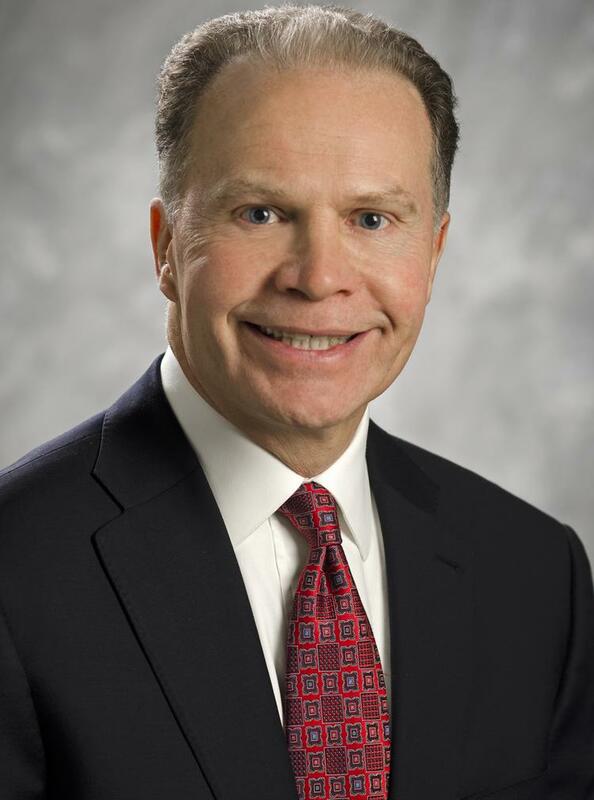 Waterman has served on the board of directors of organizations such as the U.S. Ski Team, the San Francisco Symphony, the National Institute of Neurologic Disorders & Stroke, the Scleroderma Research Foundation, Mindsteps, ASK Computer, McKesson, Boise Cascade, and Armor All. He helped found and direct AES Corporation, a major international power producer. Waterman is also a watercolor artist and teaches painting. Scientists are one step closer to developing a working animal model of RLS. In a study funded by the RLS Foundation, Yuan-Yang Lai, PhD, and her team at the University of California – Los Angeles (UCLA), researchers manipulated the diet of rats to make them iron deficient, and the animals demonstrated symptoms of RLS. These symptoms improved when the rats were given the drug pramipexole, and when they received more iron in their diets – two therapies known to improve RLS in humans. The model may also enable researchers to identify the specific brain regions, circuits and chemicals involved in RLS and periodic limb movements disorder (PLMD). The study, “Motor Hyperactivity of the Iron-Deficient Rat – An Animal Model of Restless Legs Syndrome,” was published August 2017 in the journal Movement Disorders. Studies have shown that RLS is common in people with iron-deficiency anemia, affecting up to 32 percent of people with this condition. The researchers fed rats an iron deficient diet to create anemia, then recorded their motor activity, or movement, through implanted electrodes – before and after treatment with pramipexole. They also monitored the animals after feeding them a normal diet to restore their iron stores, representing the process of iron therapy in humans. The researchers found that the iron-deficient animals had symptoms similar to those seen in RLS patients, including motor hyperactivity in quiet wake and in sleep, frequent awakening from sleep, and daytime sleepiness. These symptoms were relieved when the rats received pramipexole, as well as when they received a normal diet containing iron. These findings build on those of a previous RLS Foundation-funded study in which Dr. Lai found that iron-deficient rats given thioperamide, an H3 receptor antagonist, showed reduced period limb movements (PLMs). As a next step, Dr. Lai’s team is currently using the animal model to study why pramipexole treatment causes augmentation, and which areas and chemicals of the brain are involved in RLS. As the nation moves to address the nationwide opioid crisis, many people with severe RLS are finding it difficult to access opioid medications to treat their symptoms. Your help is needed by March 25 to ensure this vital treatment option continues to be available to RLS patients. Decision-makers at the US Department of Health and Human Services (HHS) are requesting comments from patients who use opioid therapies to manage their chronic conditions. Agency officials want to hear from RLS patients on how they manage their condition, and barriers that are affecting their access to treatment. On Dec. 18, 2018, the Pain Management Best Practices Inter-Agency Task Force issued a draft report on “Pain Management Best Practices: Updates, Gaps, Inconsistencies, and Recommendations.” This Task Force was established to provide guidance on policy for the use of opioid therapies to treat pain and other chronic conditions. HHS is overseeing this effort with the Department of Veterans Affairs and the Department of Defense. RLS Foundation leaders met with the chair of the Task Force, Dr. Vanila Singh, earlier in 2018. Dr. Singh is the chief medical officer at the HHS Office of the Assistant Secretary for Health and has been overseeing a major portion of the federal government’s response to the opioid abuse crisis. She confirmed that RLS patients will need to comment on the Task Force’s draft report, so that the use of low total daily doses of opioids to treat severe RLS is incorporated when the recommendations are finalized later this year. RLS is not a chronic pain condition; its underlying mechanisms and neuropathology are very different. It is vital for the RLS community to take part in this effort, however, because the perspectives shared will inform the Task Force’s guidance on regulations that will affect RLS patients who take low total daily doses of opioid medications to manage their condition. 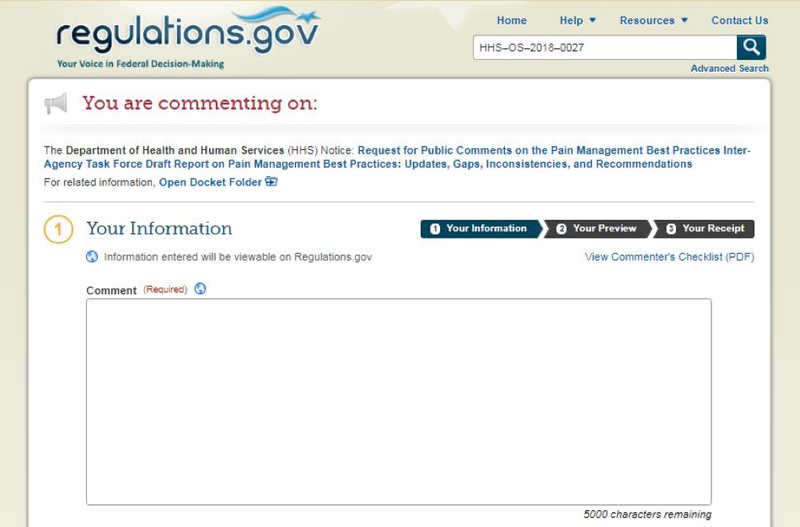 HHS is requesting written feedback from the public on the draft report. The public will have 90 days to comment. Once the comment period ends, the Task Force will consider comments received and compile a Final Report with its proposed updates and recommendations. Please submit your comments before March 25, 2019. RLS patients and caregivers must make their voices heard at this critical stage in the policy making process! Step #1: Go to the HHS online portal for submitting electronic comments and click on “Comment Now” at the right of the page. Step #2: Tell the Task Force about RLS, how you manage your symptoms, and what kind of barriers have affected your access to treatment. How long have you had RLS, and what were the steps you took to get diagnosed? How well does your current treatment regimen manage your RLS? What challenges or barriers to accessing or using medical treatments, including low total daily doses of opioids, have you or do you encounter or are you concerned about? If you have any questions about submitting comments, please contact Peter Herzog at herzog@hmcw.org or (202) 544-7499. Electronic comments must be submitted on or before March 25, 2019. Step #3:If you wish to let us know that you completed Step #1 and #2 click here, your information will remain confidential. Thank you for participating in this important Action Alert! Please note that providing your name is optional, and comments may be publicly viewed on regulations.gov. Any personally identifiable information you include in the comment form or an attachment will be provided to the department or agency, and may be publicly disclosed in a docket or on the Internet. Learn more about RLS advocacy and how to take action. Learn how to participate in the National Opioid RLS Registry. Make a financial gift in support of the RLS Foundation Advocacy Initiative.